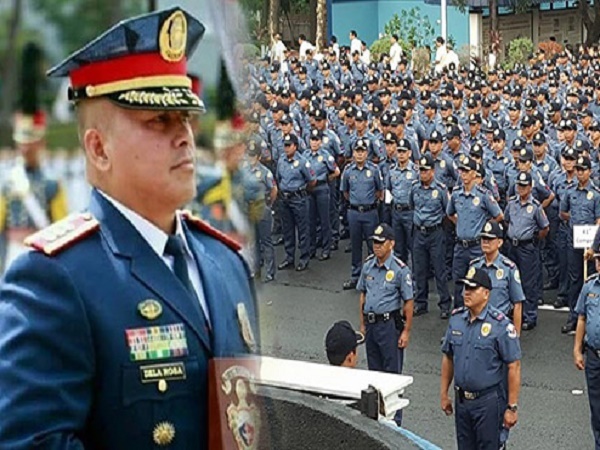 MANILA, Philippines – The incoming chief of the PNP (Philippine National Police), Chief Supt. Ronald “Bato” de la Rosa yesterday (19 June 2016) warned erring police officers to avoid “staged” killings or rubouts of drug suspects in their areas – or else risk being killed themselves. Chief Supt. Ronald “Bato” de la Rosa, chosen by incoming President Rodrigo Duterte to replace PNP chief Director General Ricardo Marquez, said he was aware that some police officers involved in illegal drugs killed their “assets” to cover their tracks. He had “monitored” some police officers coddling drug traffickers who have been eliminating those who could implicate them, de la Rosa said. But he was quick to clarify that most of the PNP members waging the war on drugs were dedicated and their work “galing sa puso” or heartfelt. The PNP has 160,000 members. In a radio interview, Bato said that “When the time comes, I will find out the truth about police commanders who are involved in the distribution of illegal drugs. They themselves will be killed,”. He would find out if the police officers were earnest, or if they were just doing a zarzuela or musical play. Bato said. Chief Supt. Wilben Mayor, the PNP spokesman, earlier said that in their record of 68 drug suspects slain since Jan. 1, 31 were gunned down from May 10 up to June 16 – representing an average of one killed daily since the polls. The number of those killed has gone up to 81 as of yesterday (19 June 2016). More than 17,000 individuals have also been arrested during the period in an intensified PNP anti-illegal drugs campaign. Mayor clarified that the slain suspected drug traders and pushers were killed in legitimate police operations. “The reason why those suspects were killed is because there were shootouts between the police and the suspects. The police followed operational procedures. There was imminent danger on their part,” he added. Of the 31 slain suspects, 12 were from Central Luzon, 8 from Southern Tagalog and 5 from Central Visayas.